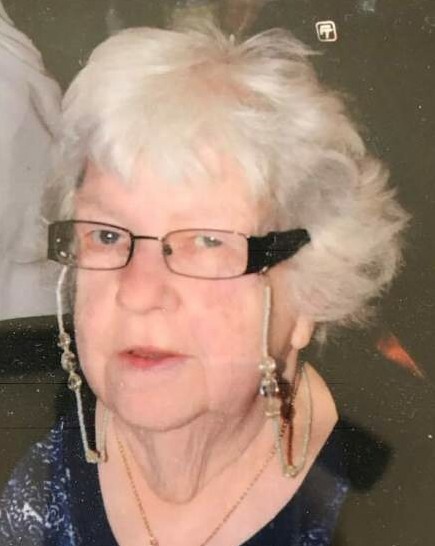 Ellena Francis Beverly, 81, of Stafford County passed away Thursday, January 24, 2019 at Spotsylvania Regional Medical Center. Mrs. Beverly enjoyed spending time with her family, riding in the car, crafting, playing cards and traveling. Survivors include her children, Katherine Beverly, Valarie Beverly, Kimberly Bradshaw (Gralyn), Wayne Beverly (Ann Marie) and Linda Brooks (Dale); grandchildren Bo Whaling, Irene Ketterer, Michael Whaling, Brandon Whaling, Andy Franklin, Stacey Fitzgerald, Samantha Franklin, Casey Franklin, Rick Hash, Krista Hash, John Bradshaw, Justin Bradshaw, Robbie Brewster, John Brewster, Steven Brooks, Kenny Brooks and Brittany Brooks; great-grandchildren Mason, Connor, Ashley, Ryan, Scarlett, Jack, Taylor, Kayla, Ryan, Hannah, Sarah, Autumn, Hailee, Skylar, Addisyn, Emma, Lincoln, Tyson, Brock, Helen, Trinity and Wyatt; brother Rollen Ladd (Mary); and many nieces and nephews. She was preceded in death by her husband, Odell Beverly. The family will receive friends from 5 to 7 p.m. on Monday, January 28 at Covenant Funeral Service, Stafford. A service will be held at noon on Tuesday, January 29 at the funeral home. Interment will follow in Stafford Memorial Park. In lieu of flowers, donations may be made to Heartland Hospice Services of Warrenton, 493 Blackwell Road, #319, Warrenton, VA 20186-2639.